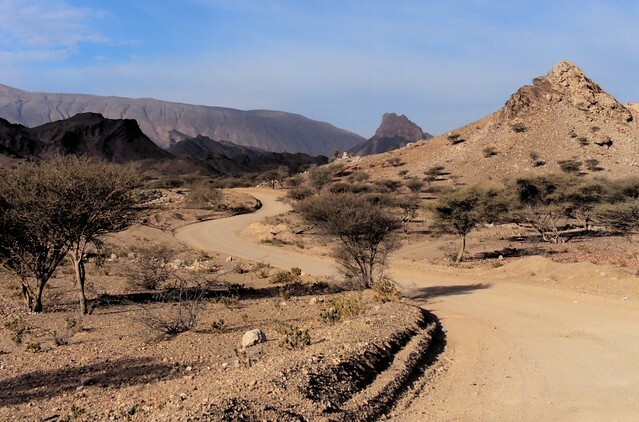 ← Oman: The Subcontinent in the desert? Stuart and I dropped off Jack at the Muscat airport around midnight for his horribly-timed flight back to Miami via Istanbul. My flight back to Antalya, however, left from Dubai. 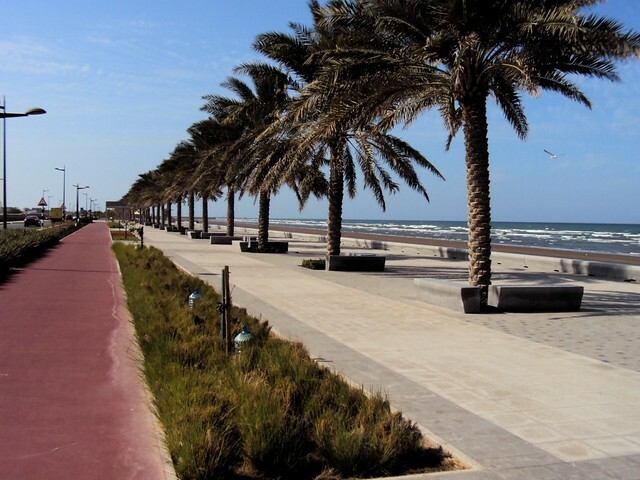 On the way in to meet Jack a month earlier in Muscat, I flew to Dubai, took a taxi to the bus station, a bus from Dubai to Muscat, built my bicycle on the side of the highway, and rode to Stuart’s house where Jack was waiting. My return trip from Muscat to Dubai took a little longer. I gave myself 15 days and pedaled. 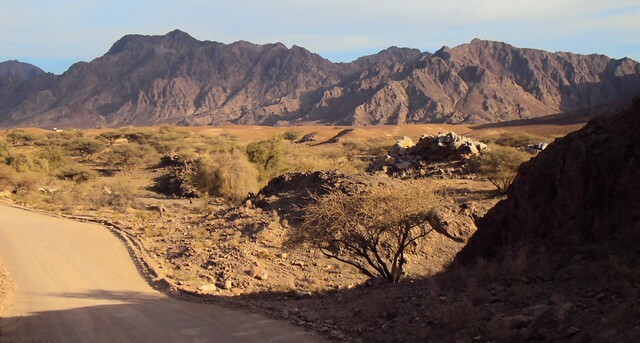 Since riding in Oman seemed to keep getting better and better, I was really looking forward to this section from Muscat to Al Ain, UAE, the city where I ended up crossing the border. 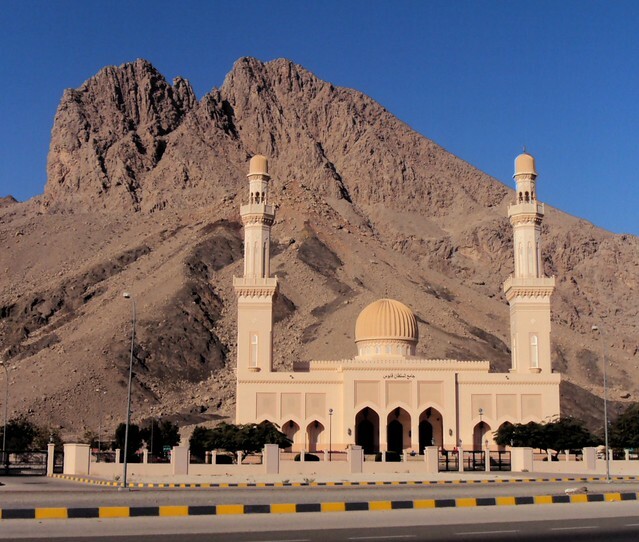 The traffic was very heavy in places — indeed some of the worst traffic I saw in Oman was heading north into Rustaq just before noon prayers on a Friday — but I knew to expect traffic so it wasn’t as demoralizing as my first week in the country. 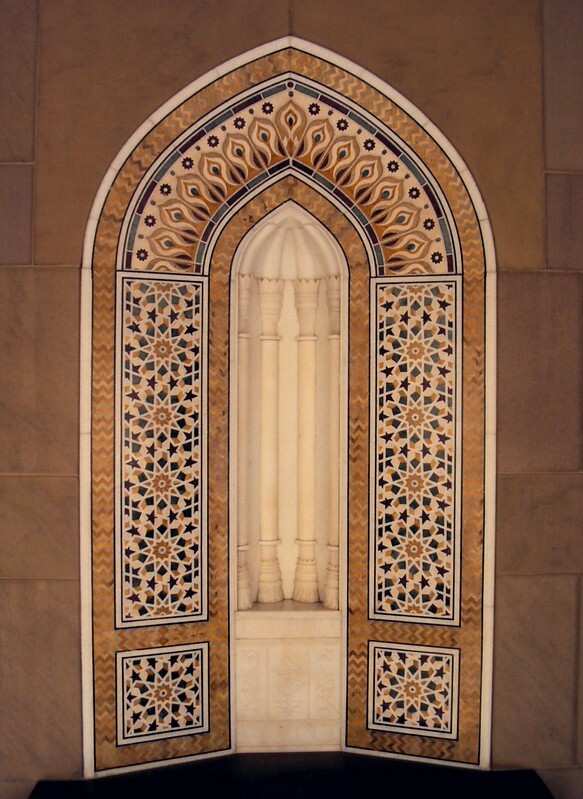 I started with a detour by heading east from Stuart’s house instead of west to visit the Sultan Qaboos Grand Mosque. Wow, I loved this building. 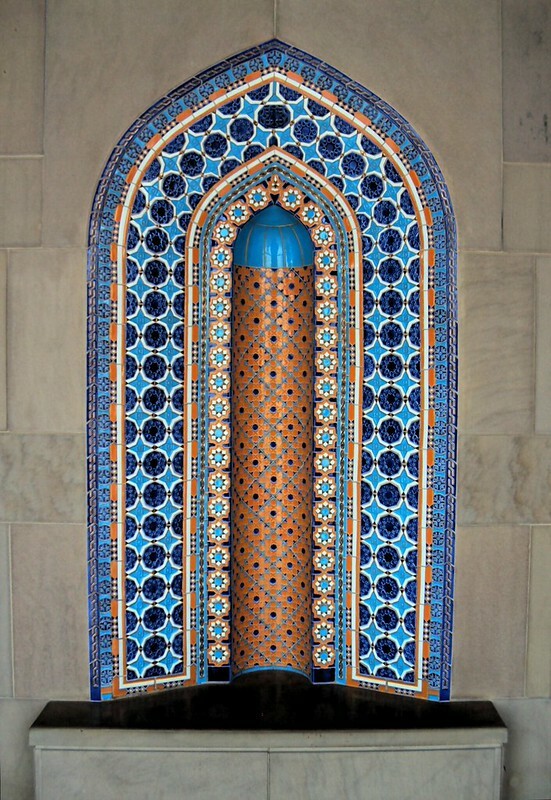 I’m a fan of Islamic architecture. 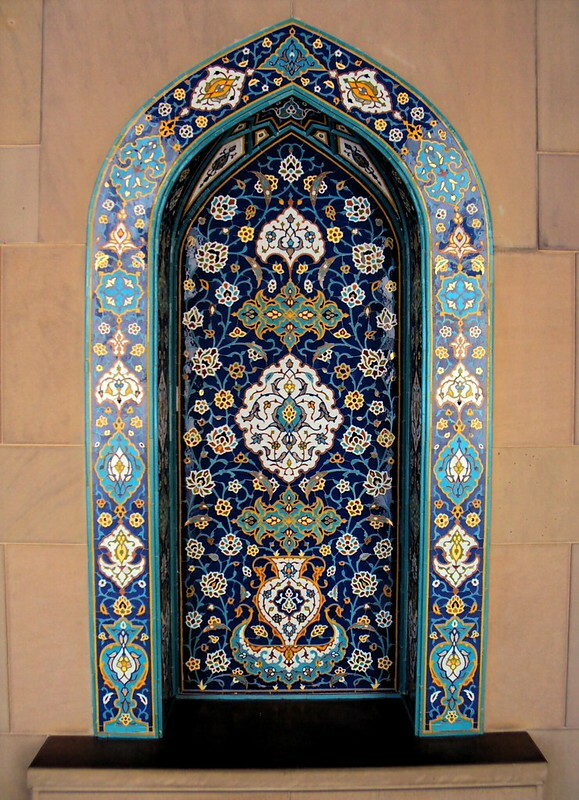 The Taj Mahal is still my favorite building in the world, and both the Shah Mosque and Sheikh Lotf Allah Mosque in Esfahan are pretty darn impressive. 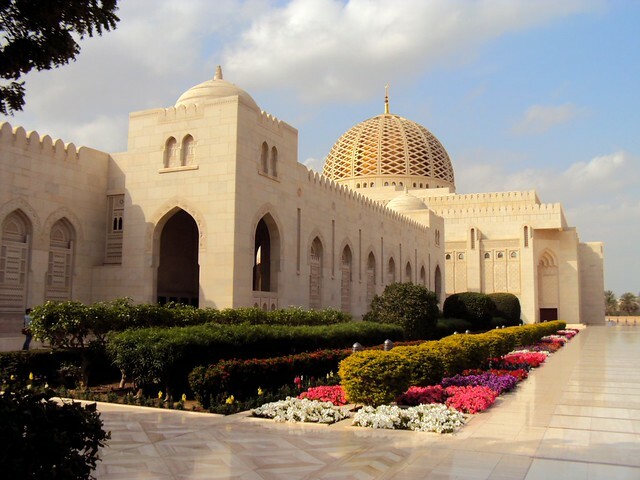 The Sultan Qaboos Grand Mosque in Muscat is much newer than any of those buildings, but it sure is a looker. Jack and I caught a view from the road a month earlier, and it’s actually fairly unassuming from the outside. 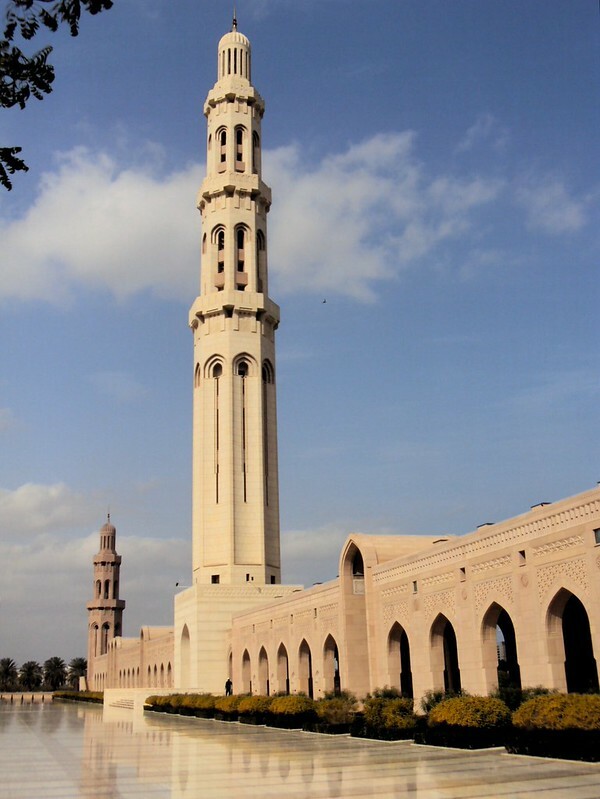 It does not “dominate the Muscat skyline” as one review I read put it. You have to get into the compound and start looking at the details. 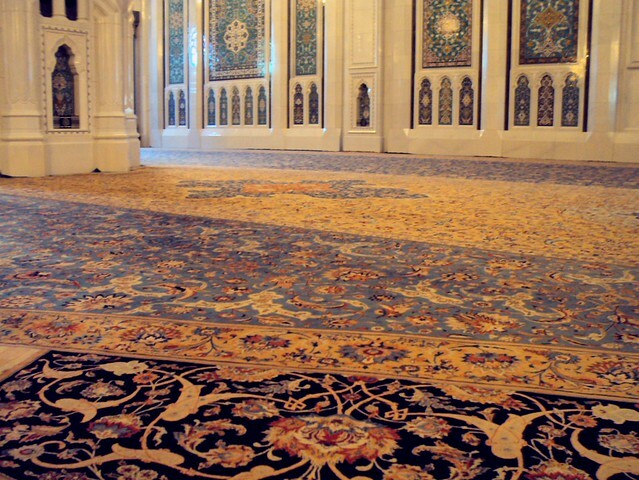 Inside the main prayer hall is one of the world’s largest carpets and one of the world’s largest chandeliers. 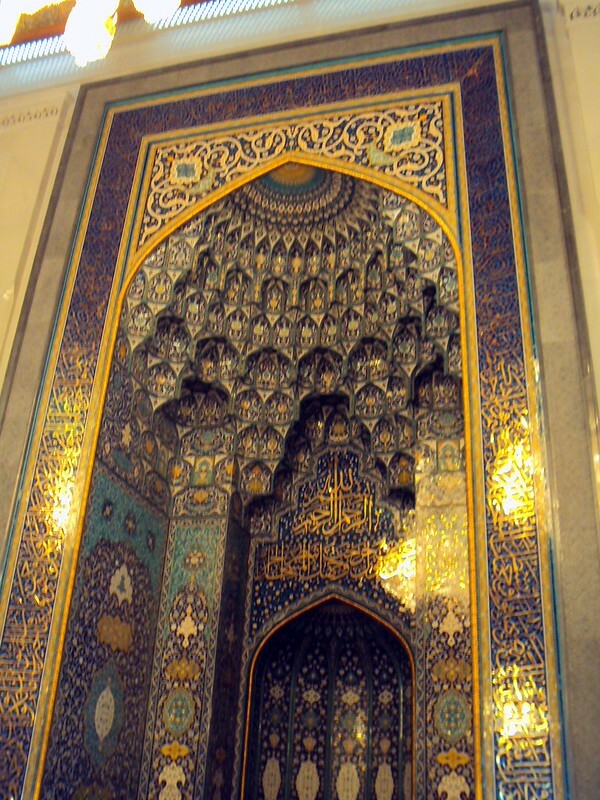 The mihrab certainly looks like one you’d see in Iran. 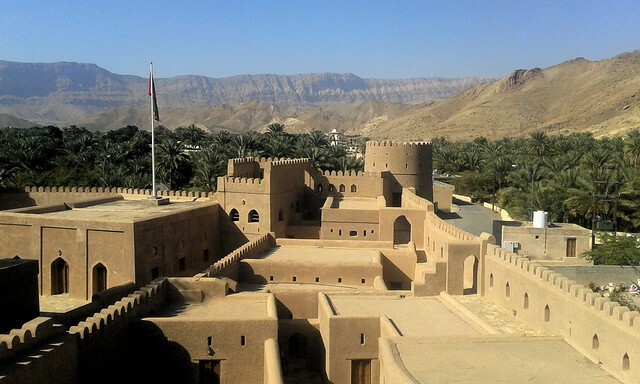 Oman obviously spent tons of money on this building. I was impressed. I wonder what people will be saying in 100 years. 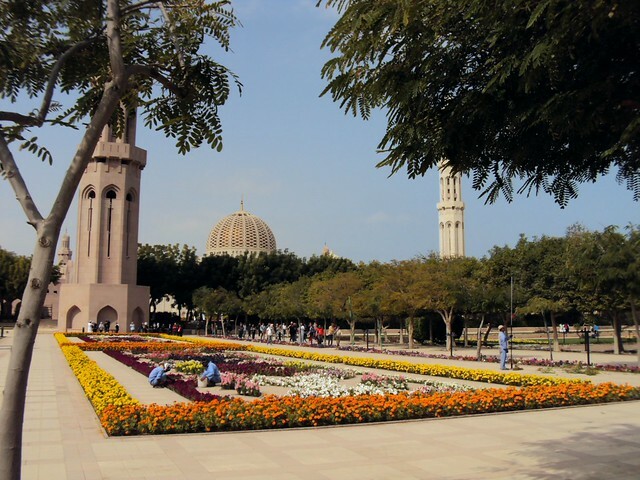 I spent the rest of that day trying to get away from the sprawling disaster that is Muscat. 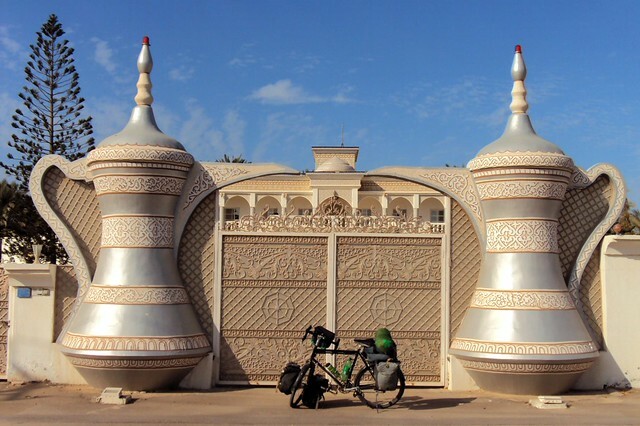 Just west of Seeb I happened upon the best bicycle path I saw in Oman. Sadly, it didn’t even last 5km. 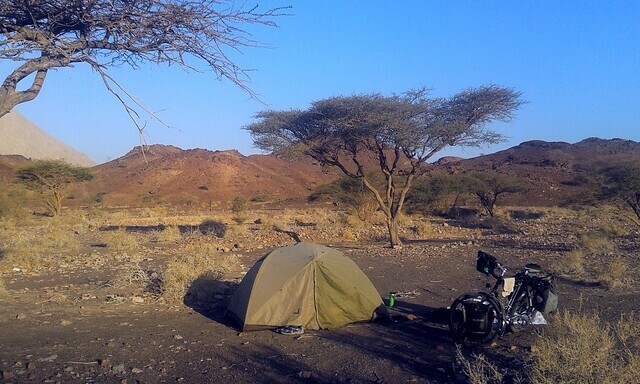 Jack and I had spent two nights at a hotel in Matrah and two nights at Stuart’s house in Azaiba so it had been four nights since I had last camped. I figured it’d be getting close to the full moon. It got dark as I was cooking dinner, I looked to the east and did see a light, but it was a small yellow crescent. I figured I must be seeing some odd street light of sorts quite a ways off. Back to cooking. I looked up again and, wait a minute, that’s the crescent moon rising in the east just after sunset. Huh??!! Oh my gosh, it’s an eclipse! To make sure I wasn’t crazy I took a photo of the crescent at 6:30pm, a few more along the way, and another at 7:07pm showing an almost full moon. Indeed, the eclipse lasted over 40 minutes. I looked it up on the internet later, and it had been a full lunar eclipse, but you had to be farther east (southern India?) to see the totality. Still, an unexpected surprise! 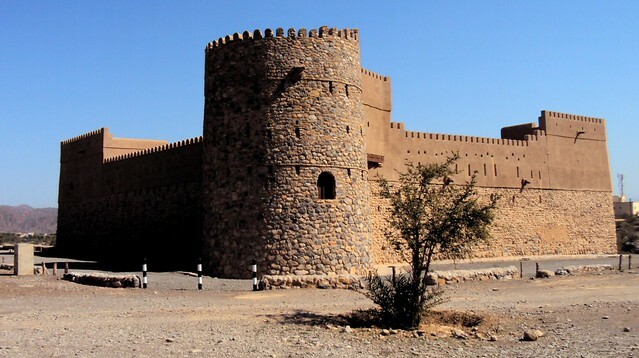 The rest of my days in Oman were spent riding on good roads, sometimes with nice tailwinds, and visiting forts. I got my second flat tire a couple hours later. Is god trying to tell me something? 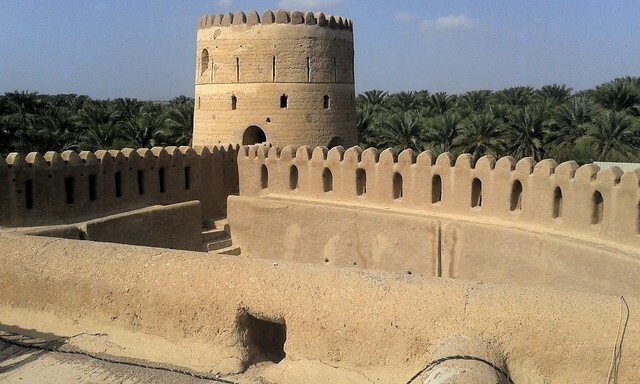 Entrance to most forts was free, or they charged 0.5 – 1 OMR. 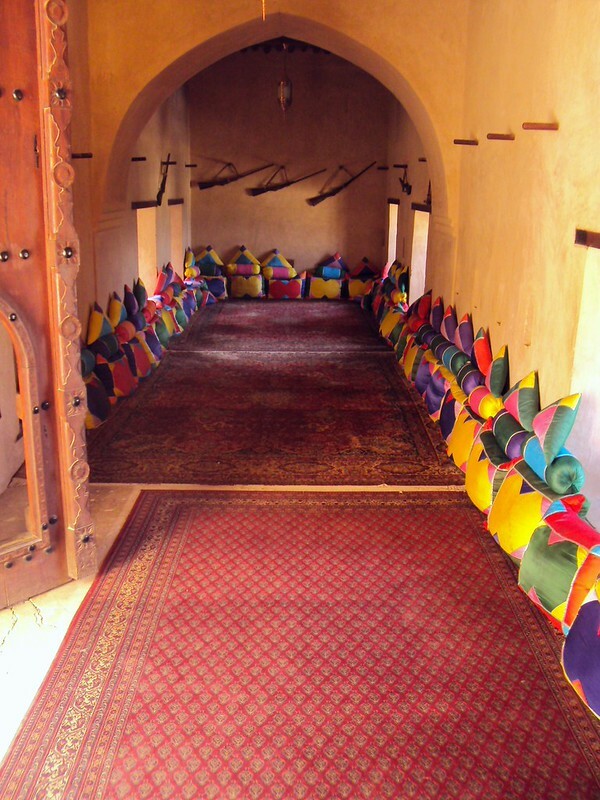 This place wanted 3 OMR (about US$8), three times what Omanis pay! 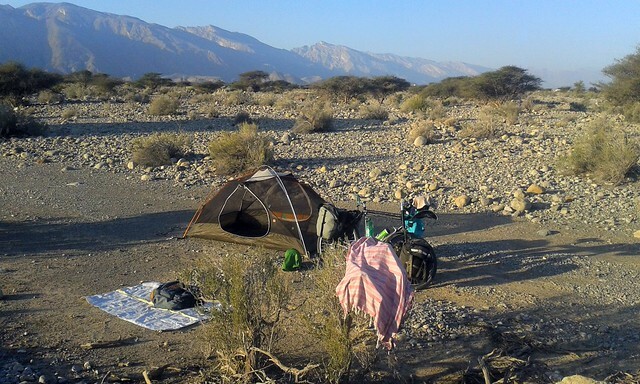 soak in the nearby hot springs, and find a nice campsite out of town before dark. Being Friday both forts were closed to visitors. 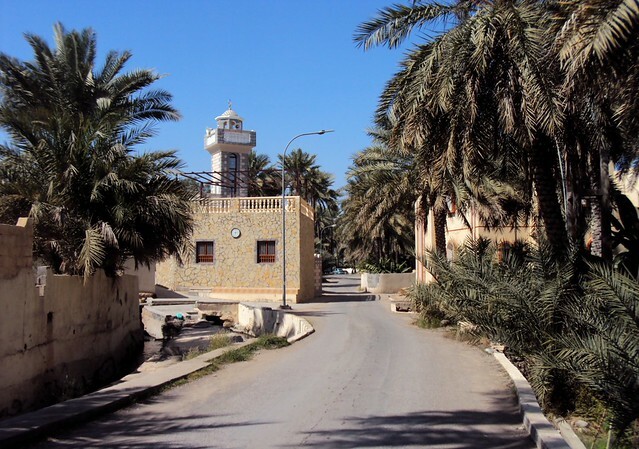 Actually I think the one in Rustaq is open Frioday mornings, but by the time I got there it was full of worshipers as that’s where they hold the Friday noon prayers in Rustaq. 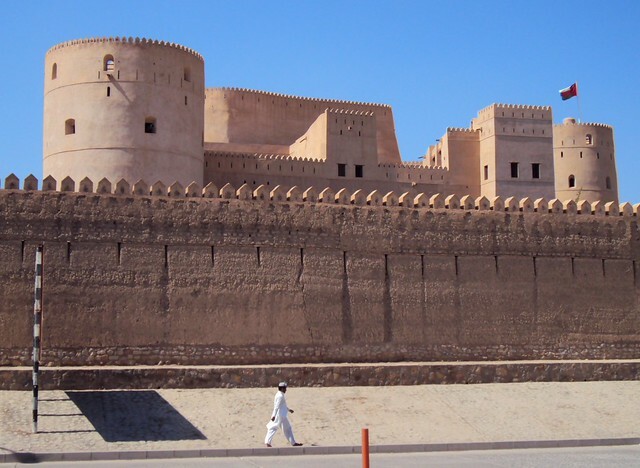 I saw hundreds of people heading to and from the fort — not a single woman. 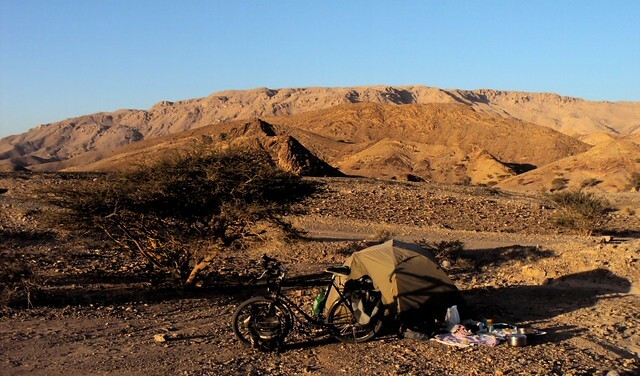 It was more nice riding and more nice camping to get to Yanqul. 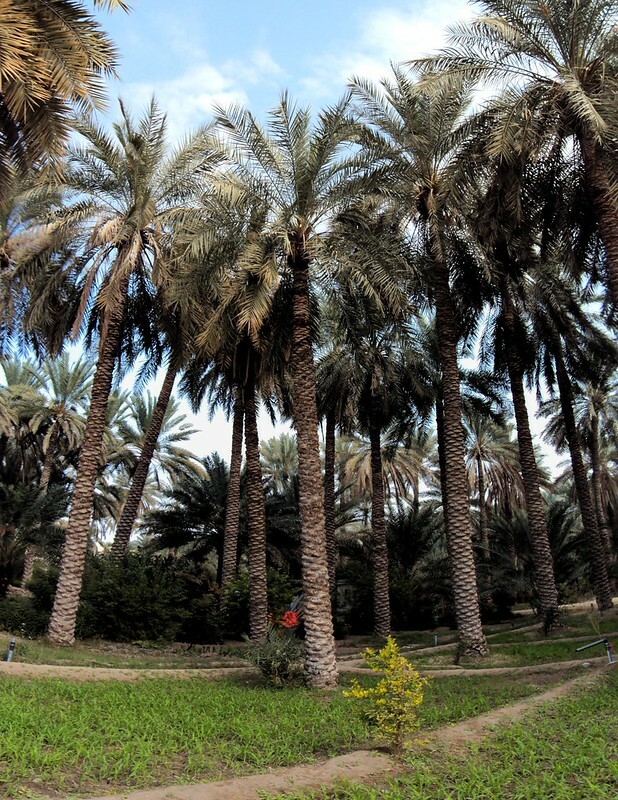 It felt like I should really be getting away from Oman’s messy urban areas by now (won’t I ever learn?! ), but riding in and out of Yanqul was horrible. I’m glad I took the short detour to the visit the fort, however. 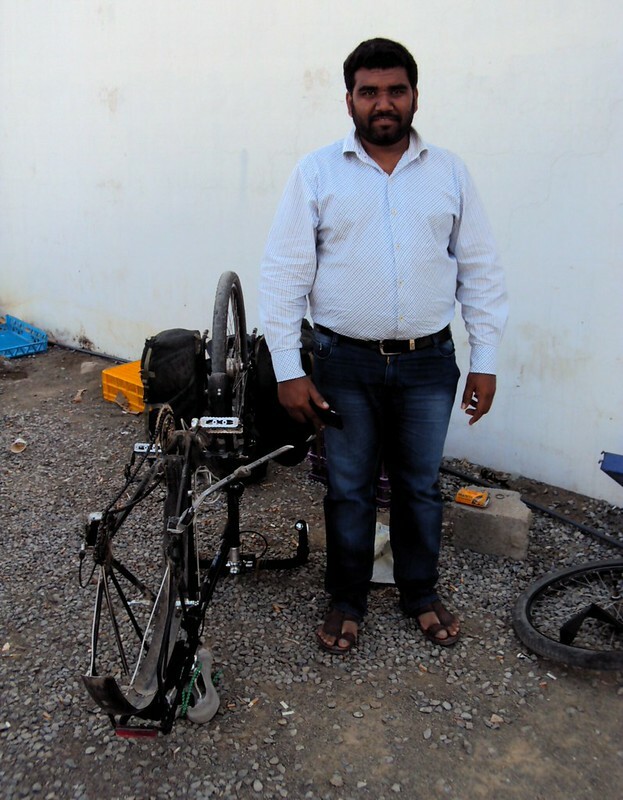 The gentle, kind Bangladeshi caretaker from Dhaka showed me around. 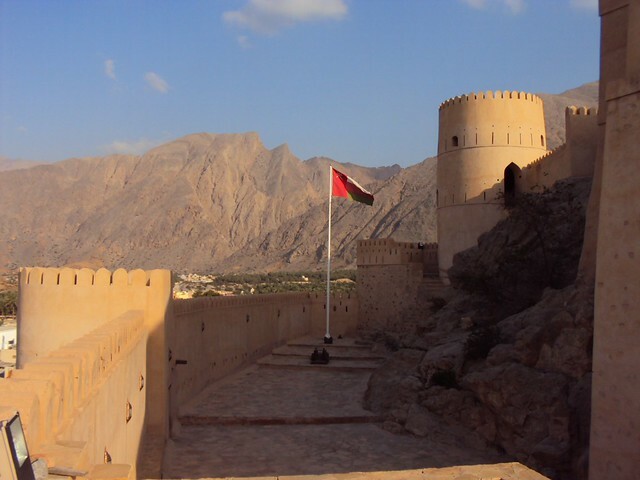 He didn’t speak much English, but I’d visited enough forts in Oman by this point to know the routine. Indeed I never really did get fort fatigue. I visited a couple forts with full tours, a number of forts on my own, and a couple others with friendly escorts who didn’t explain much. Had they all been full tours, I probably would have quickly got tired of hearing the same thing over and over again. The following day just before crossing the border into United Arab Emirates, I ran into Ali from Buraimi and a couple friends of his. Ali spoke good English, was fun to talk to, and insisted on buying me a bunch of snacks before I left Oman. What a wonderful impression for my last hour in the country! Plus I took my first selfie! 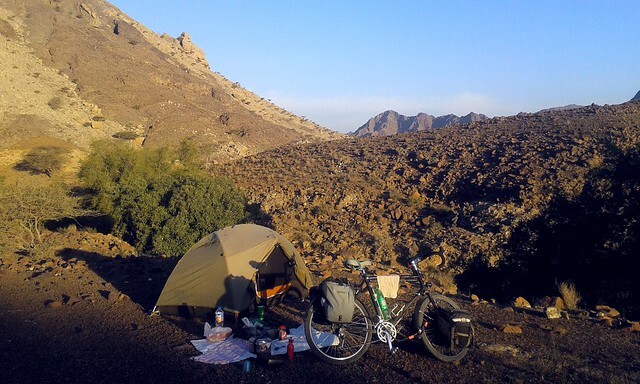 This entry was posted in Bicycle touring, Oman and tagged Afi, Awabi, Azaiba, Muscat, Nakhl, Rustaq, Seeb, Yanqul. Bookmark the permalink.